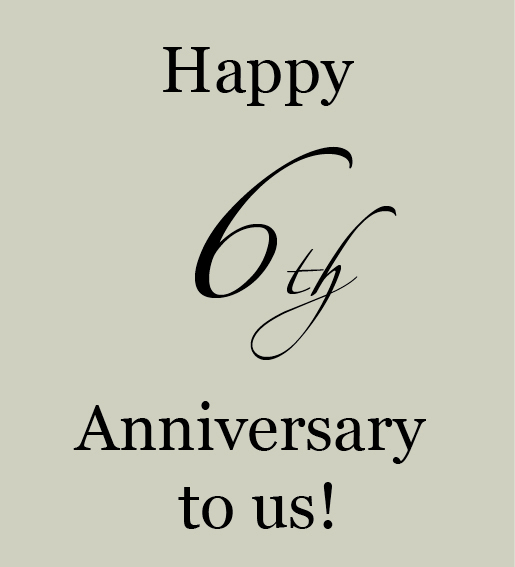 Today is the 6 year anniversary of me starting this blog. I’m struggling to believe it. In some ways I can’t get my head around all that has happened in that time, and yet it also seems to have flown by. I’ve met some amazing people along this incredible journey, some who have become friends, some clients. Either way, I’m incredibly grateful. Grateful for all of you who continue to read, leave comments and send me emails. So I’d like to mark the occasion with an open question to all of you. You’re an incredibly diverse group, although a lot of you are in the design community, located all over the world. I guess what I’d like to know is why do you read this blog? And what can I do to improve it? What would you like to see more of? How would you feel about advertising here, or it turning more into a magazine format? Do you want local content, or do you enjoy the international mix? 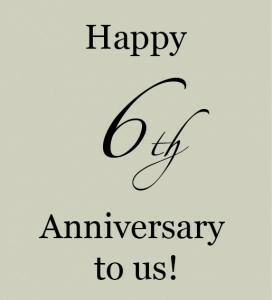 First of all congrats to you on the 6th anniversary of your blog. I’ve also been following your blog on and off for several years and I agree with the others here that there should be more local contents, in fact not just local but the region, i.e. Singapore, Thailand, Indonesia, etc. Congratulations!!! I been following Studio Annetta for almost five. Thank you for all of the great posts. oh Happy anniversary to you. I enjoy so much having a look at your blog. And this for years. Many others I have given up as they seem to just advertise. You are one of my favorites. I would love to see what you’d do with a magazine format. Also, you were one of my first followers and I’ve never forgotten. Thanks so much for bringing the beauty! well first up, congratulations on hanging in there for 6 years! From my perspective, I would like to see more local content, which is the reason why I read your blog. If I can’t travel as much as I would like, then reading blogs with a local focus is a pretty good substitute, as it provides knowledge and insight into something quite outside of my everyday realm, which I love.